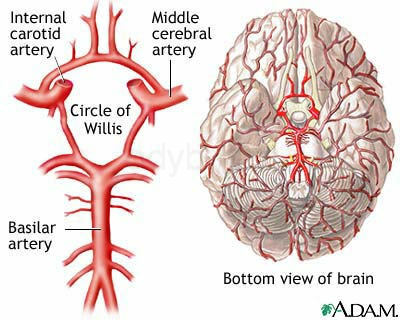 Compared to the brain and liver, kidneys have a higher blood flow. 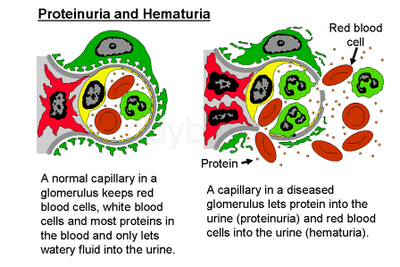 The kidneys reabsorb and redistribute 99% of the blood volume and only 1% of the blood filtered becomes urine. 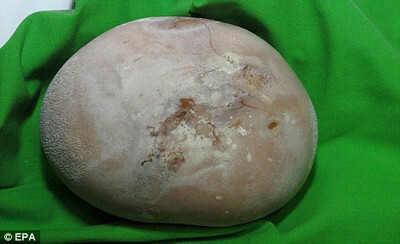 The largest ever kidney stone was the size of a coconut weighing a crazy 2.5lb/1.1kg. 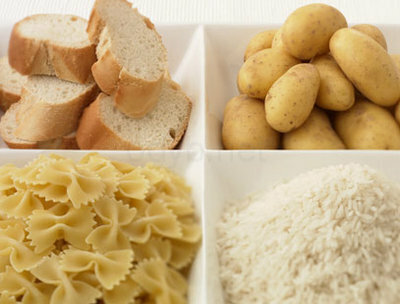 Simple carbohydrates like sugar, white bread and white rice are quickly broken down by the body, causing a rise in blood glucose levels which in turn triggers the pancreas to release large amounts of insulin. 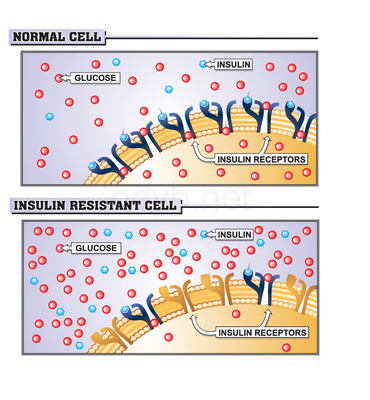 Insulin makes it possible for the body to utilize glucose for energy but excess insulin in the blood can lead to kidney stones. People who experience heartburn or gastritis frequently tend to ingest antacid such as milk to correct the acidity in the stomach. 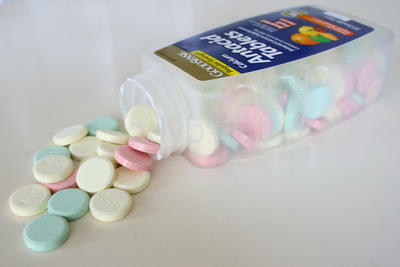 Excessive antacids may cause kidney stones. 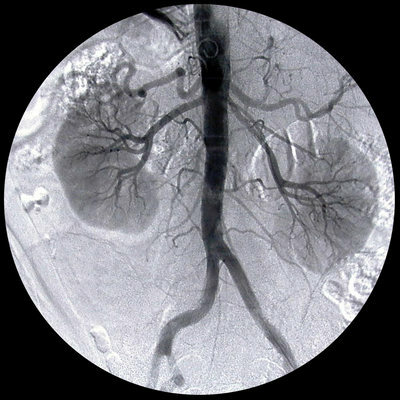 A smaller right kidney than the left is normal. A lower right kidney than the left is also normal. The reason being that the right kidney sits under the liver, the body’s largest internal organ while the left kidney sits under the spleen, a much smaller organ. The kidneys of a newborn baby are about 4X larger in proportion to body weight as in the adult. A baby’s kidney weigh just a little under 1 ounce (28 grams) while an adult’s weigh about 5 ounces (142 grams). Not drinking enough water is the most common cause of kidney stones. So drink more warm water but make sure it is purified or filtered to avoid any long term repercussions. Pee away your day! 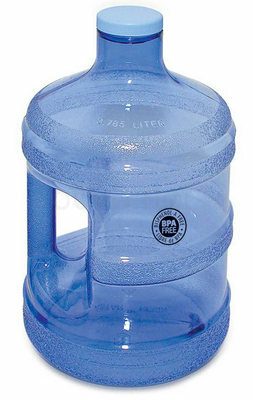 The recommended amount of water per day for men is 3.7 liters (1 gallon) and 2.7 liters (0.7 gallon) for women. You will also reap these other health benefits by drinking lots of water. Serious bodybuilders drink at least 6 liters (202 ounces) per day all year round. Imagine how much Dwayne ‘The Rock’ Johnson drinks per day! 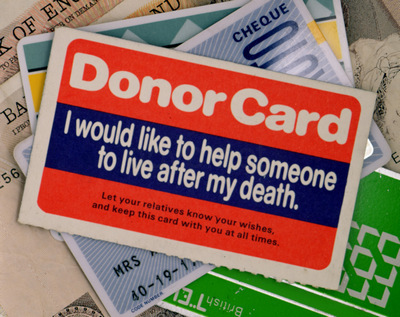 Most donated kidneys come from deceased donors although living donors are on the rise especially in the US. 47% of donated kidneys in 2006 were from living donors. 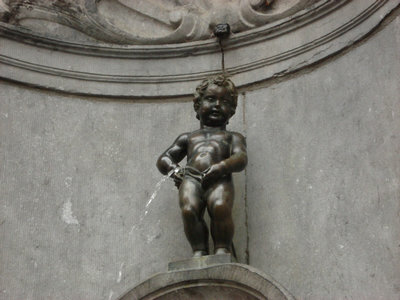 The average bladder can hold anywhere from 50-500 ml (1.7-17 ounces) before the urge to urinate becomes overwhelming. 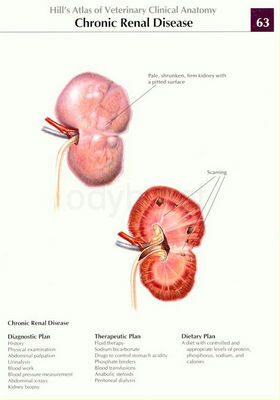 ½ a healthy kidney could do the work of 2 kidneys. 26 million American adults have Chronic Kidney Disease and millions of others are at increased risk especially African Americans, Hispanics, Pacific Islanders, Native Americans and Seniors. While Chronic Kidney Disease is more common among women, men with CKD are 50% more likely than women to progress to kidney failure. More than 500 million people worldwide, roughly 10% of the adult population, have some form of kidney damage, and every year millions die prematurely of cardiovascular diseases linked to Chronic Kidney Disease. Our kidney contains about 1.15 million nephrons, tiny filtering units responsible for removing harmful toxins and excess fluids from the blood, keeping it clean and maintaining its correct volume and concentration. 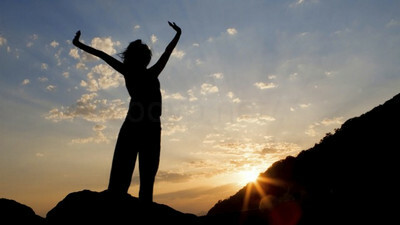 A single kidney with only 75% of its functional capacity can sustain life very well. If a kidney is missing from birth, the other functioning kidney can grow faster, heavier and larger than a normally paired kidney. It may function at a level about 40% more than a single, paired kidney. 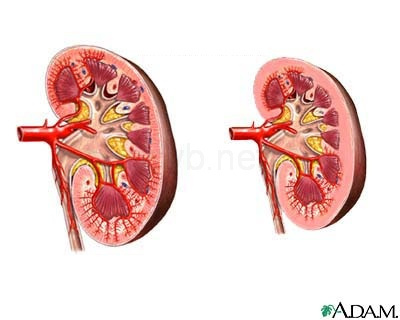 If only one kidney is present, that kidney can adjust to filter as much as two kidneys would normally. In such a situation, the nephrons compensate individually by increasing in size, a process known as hypertrophy, to handle the extra load. Although nephrons stop functioning at a rate of 1%/year after 40 years old, the remaining nephrons tend to enlarge and fully compensate for this natural collapse. 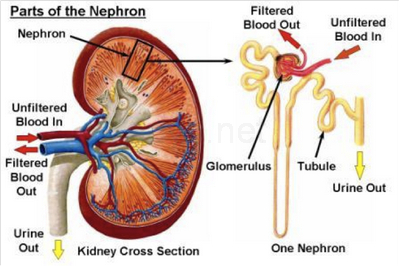 Placed end to end, the nephrons of one kidney would stretch about 8km (5miles). In 1933 Russian surgeon Yuri Voronoy performed the first human kidney transplant in Kiev, Ukraine that failed, just like the others performed all over the world. 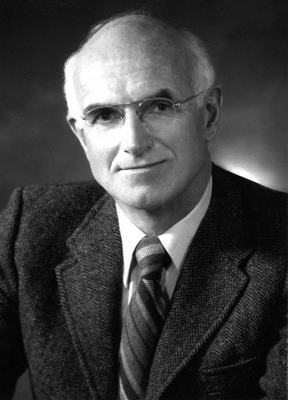 It wasn’t only until 21 years later in 1954 that a team lead by Joseph E. Murray in Boston finally achieved success for a transplant between two twins. 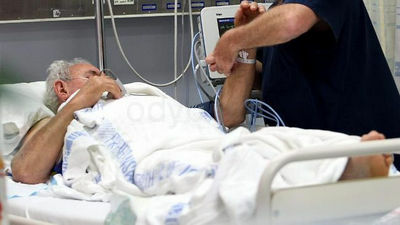 12 people die everyday waiting for a kidney transplant. 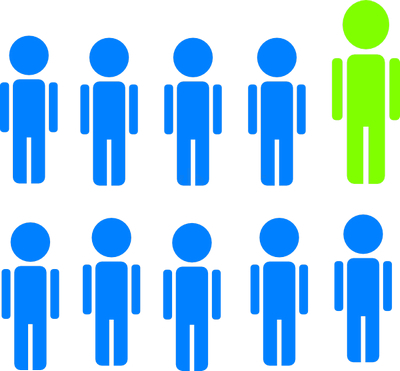 There are over 90,000 people on the kidney transplant waiting list. 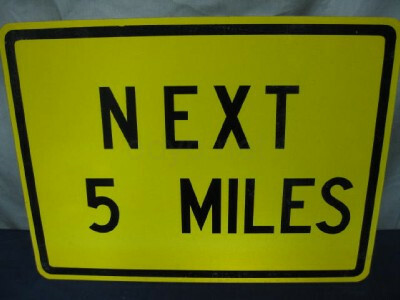 Many wait more than 5 years for a kidney from a deceased donor. 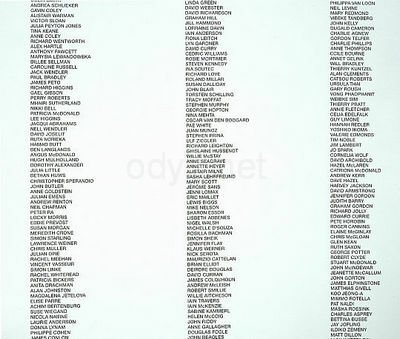 This just shows the importance of getting yourself registered to be an organ donor. 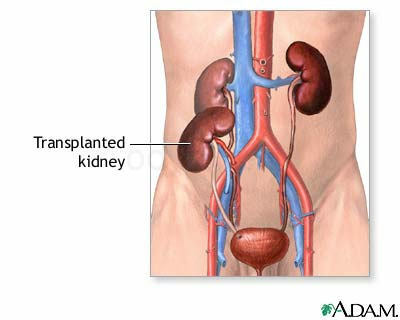 Your kidneys have the potential to save 2 lives! The kidneys and bladder are silent when they are sick. Many other parts of the body will give you warning signs in the form of symptoms when there is loss of function, but with the kidneys, you may not feel anything until you have lost 80% of your kidney function. 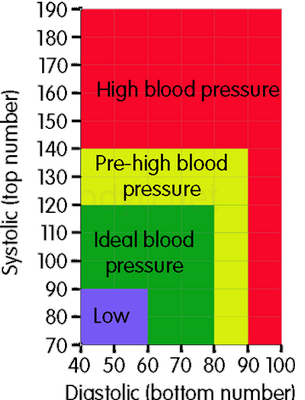 A CKD patient is more likely than the general populace to develop long term complications related to the cardiovascular system. 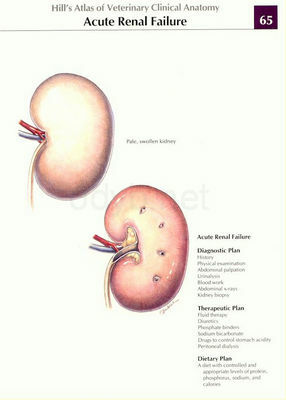 Acute kidney failure is caused by a sudden halt in function. It is reversible but deadly if left unattended to. Chronic Kidney Disease on the other hand is not reversible. The only surefire way of preventing kidney disease is raising your awareness. Get a blood and urine test done yearly to stay informed of your body’s health condition. 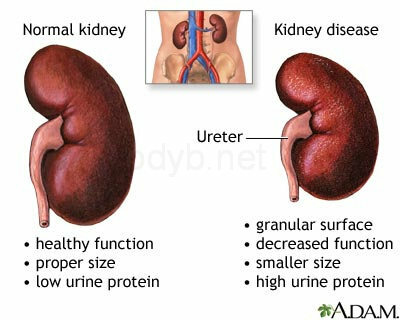 The two most important indicators of your kidney’s health is the urea and creatinine count. Urea, passed out in urine, is the waste product formed from the breakdown of proteins. The lower the better. A high count may simply mean you’re not drinking enough water or worse, your kidneys aren’t as healthy as they should be. 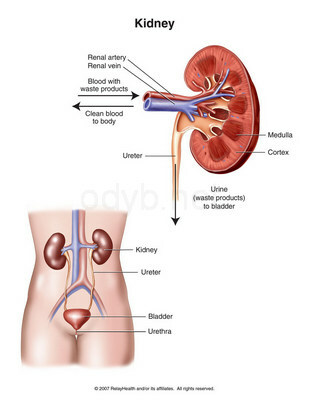 Creatinine, a more accurate marker of kidney function than urea, is a waste product made by the muscles. Creatinine passes into the bloodstream, and is usually passed out in urine. Estimated glomerular filtration rate (eGFR) is even more accurate as it takes into account your age, race and gender together with your creatinine count. 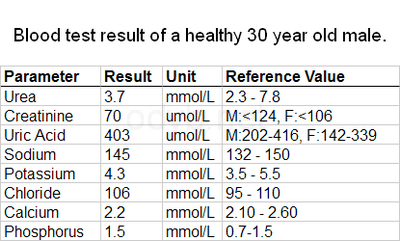 Check out your most recent blood test result’s creatinine count and calculate your eGFR here. 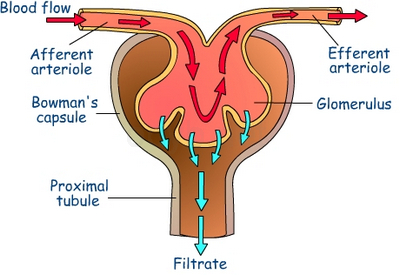 The normal range of eGFR is between (100 – 130) ml/min/1.73m2 in men and women. You are what you eat. 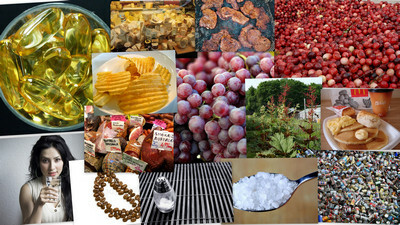 Discover which of these 9 types of food are good for your kidney. My husband drinks like 20 gallons of water a day LOL!